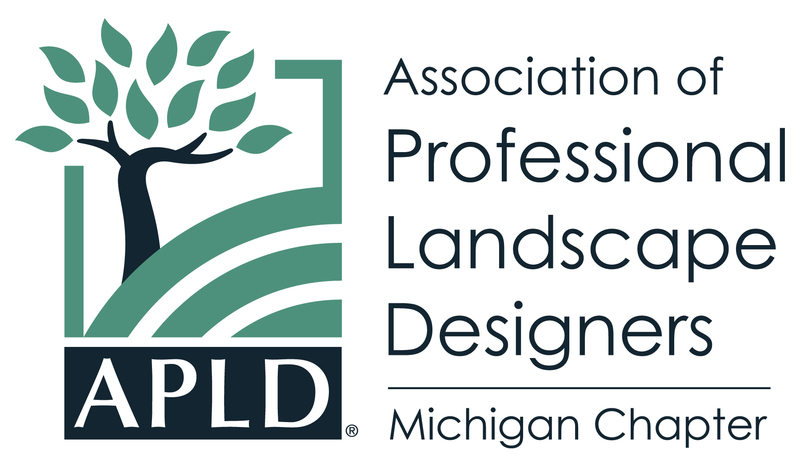 The Association of Professional Landscape Designers® (APLD) was founded in 1989 as an international organization dedicated to promoting the highest standards for the landscape design profession. The Michigan chapter, seperated from the Midwest Chapter and organized in 2009, represents APLD members living or working in Michigan. To help educate consumers about the role and value of professional landscape design, in part by providing online resources for finding and working with local professional landscape designers. Chapter involvement is one of the most tangible benefit of belonging to APLD-MI. The Board meets on a bi-monthly basis except for April/May. We generally meet in the Lansing area centrally located in the state. We are open to offering the meeting via the web if you cannot make it. If you have several hours every other month to volunteer – and let’s face it, who doesn’t – you can make a difference and help raise awareness of the value of professional landscape design in Michigan. If you have any interest/talent in these areas to serve on the 2016 board please let us know. Certified members will receive CEU credit for serving in an officer’s position on a chapter Board. CEU credits are as follows: President-5 CEU credits/year, Vice President, Secretary or Treasurer – 3 CEU credits/year.